With a presidential election coming up soon, there’s been a lot of talk about past campaigns and past elections. Were they more genteel and courteous than campaigns today? It doesn’t seem so. You may think you know a lot about past presidential candidates, but have you heard about the candidate who spent Election Day in jail and who wasn’t allowed to vote? The year was 1872, and the candidate was Victoria Woodhull, the first woman candidate for president in the United States. 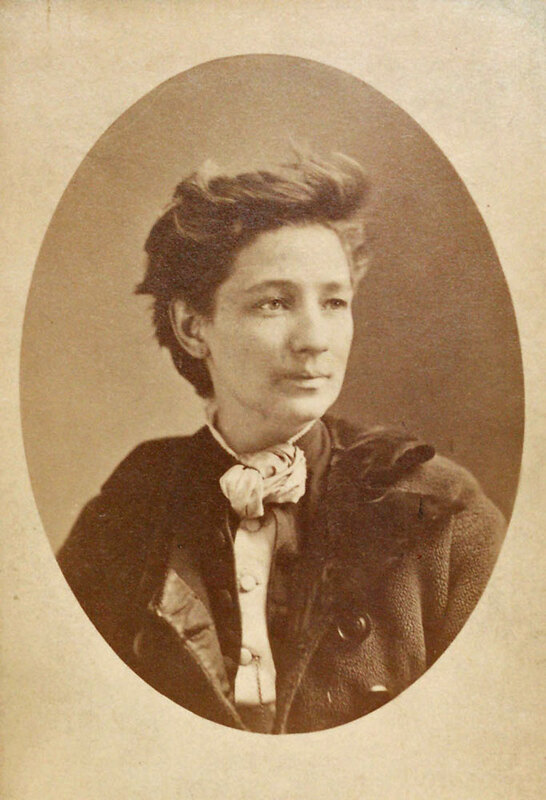 Victoria Woodhull had indeed demonstrated her ability to work in a man’s world. With her sister Tennessee Claflin, she had started the first brokerage firm in New York operated by women. The path to that financial success was long and hard, but Victoria was always a fighter. Born in Ohio in 1838, she had grown up in an unstable and impoverished family. She declared she had been “a child without a childhood” because her father had put his daughters to work as soon as he realized they could tell fortunes and claim healing powers. Victoria escaped from him by running away at 15 to get married, but the husband she chose was as shiftless as her father. He quickly became an alcoholic and a philanderer. Fed up with his neglect and dependence, Victoria divorced him and decided to make life on her own terms with her two children. Some women in those circumstances might have struggled to maintain respectability by turning to teaching, but respectability was not high on the list of Victoria’s priorities. She had discovered spirituality and believed in her power to foresee events to come. Her sister Tennessee was also a clairvoyant and both sisters were quite willing to use their talents as well as their sexual appeal to earn money. Both were at various times accused of being prostitutes, but both were clever enough to use their sexual availability to their advantage rather than being punished for it. During the late 19th century when a married woman could lose her husband, children, and livelihood by a single slip into adultery, married men were free to consort with prostitutes and enjoy their sexual adventures without losing anything. Tennessee and Victoria claimed the same privilege. How did this background lead not only to wealth but to a presidential campaign? It’s a good story and I will continue it in my next blog post.